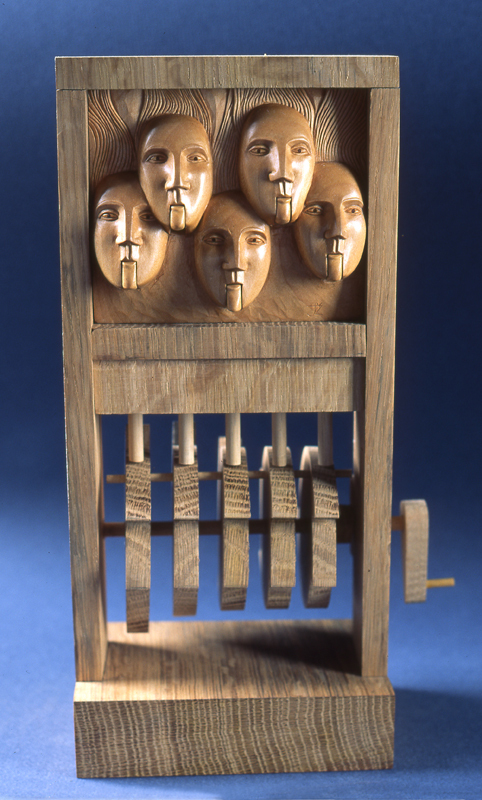 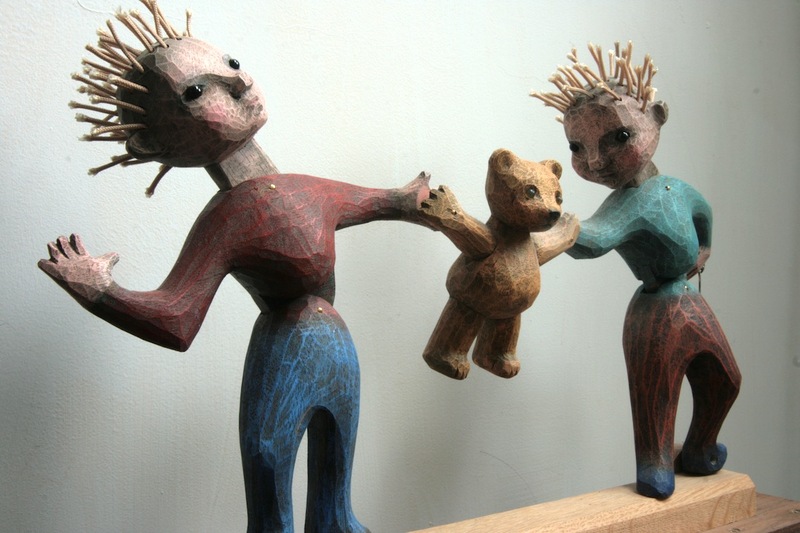 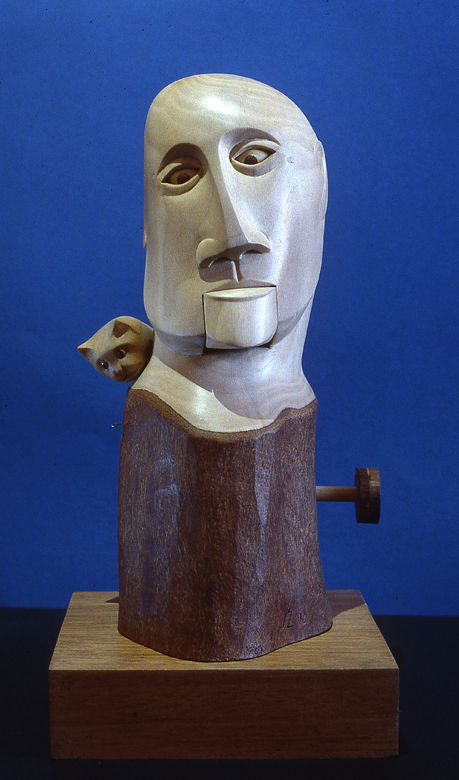 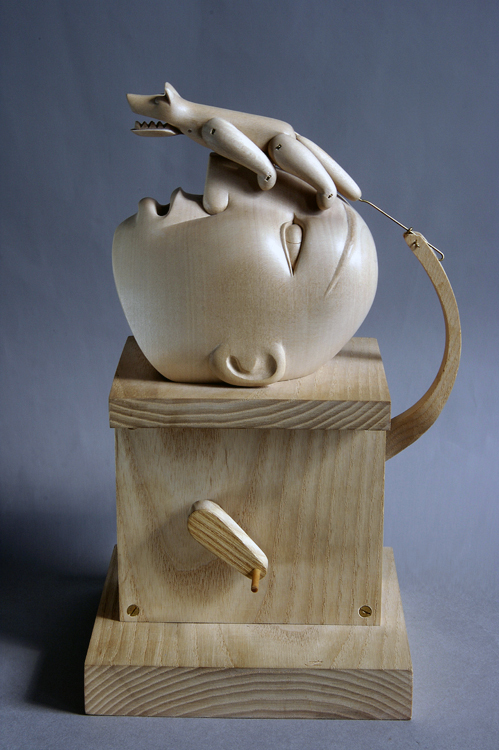 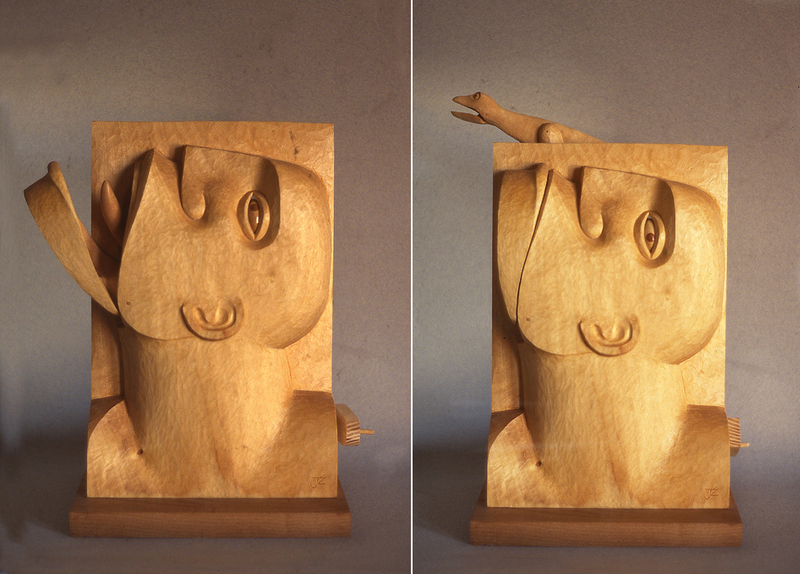 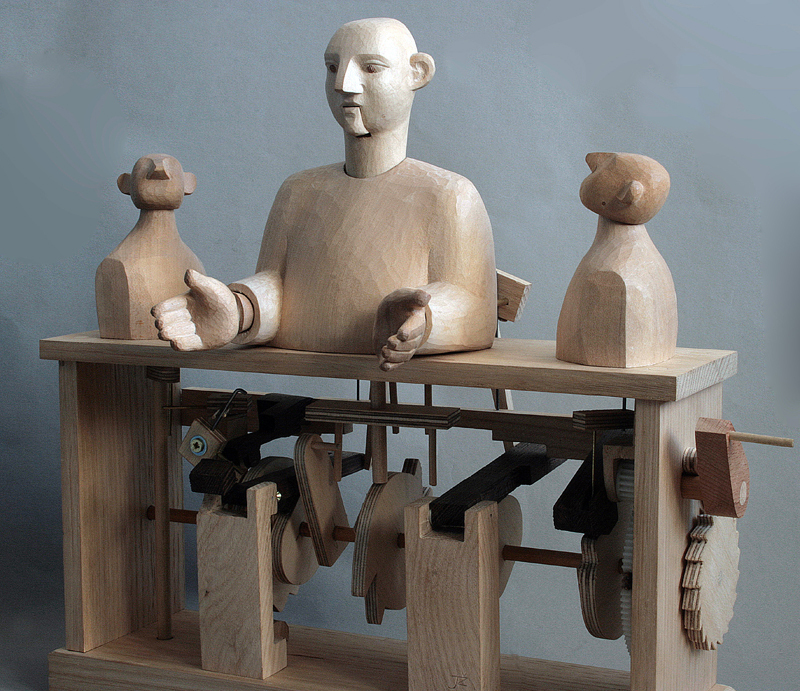 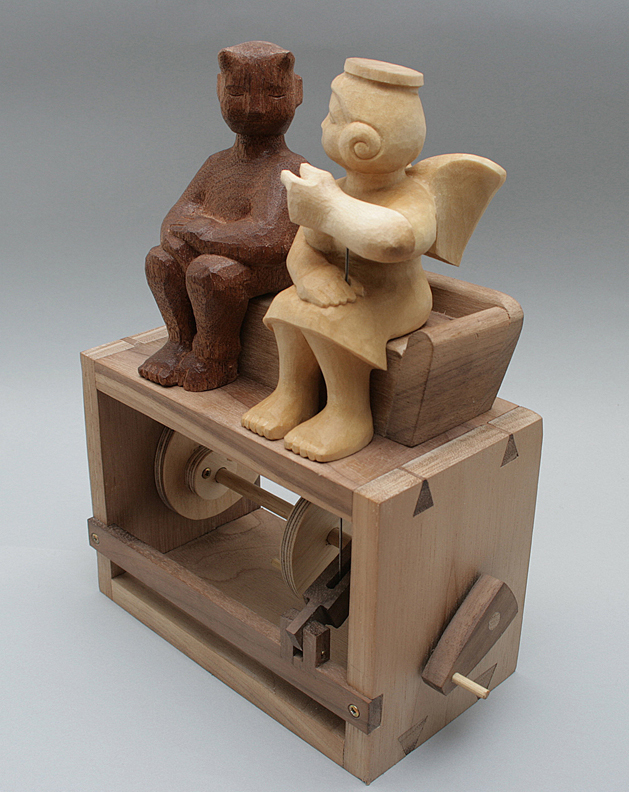 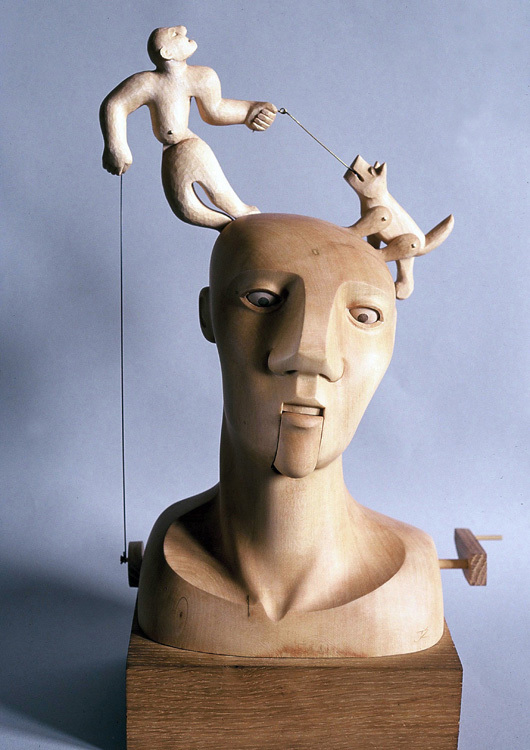 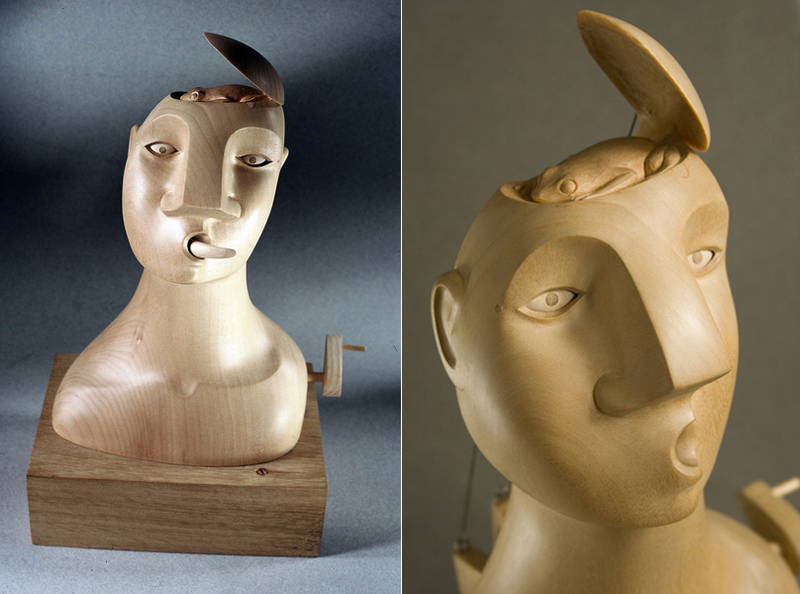 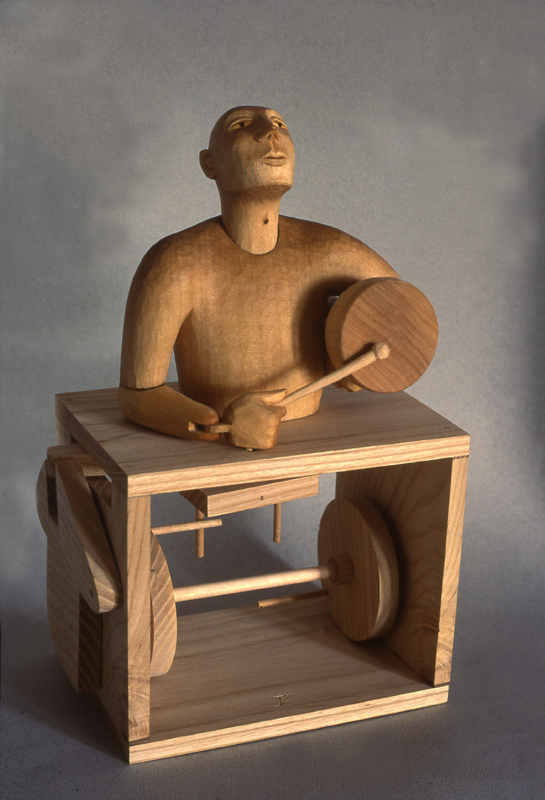 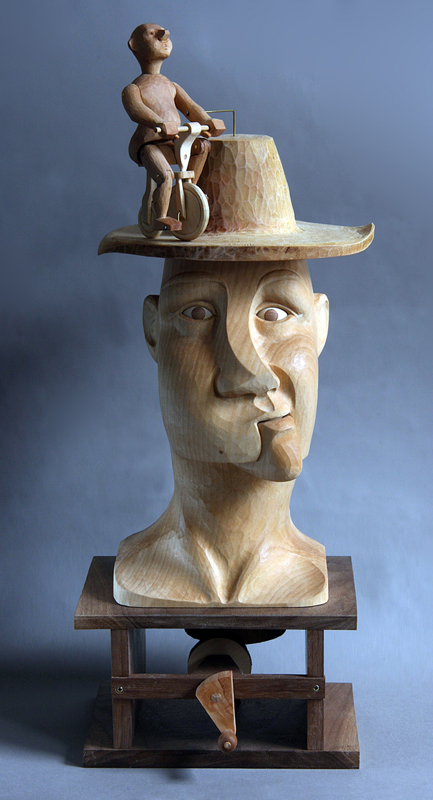 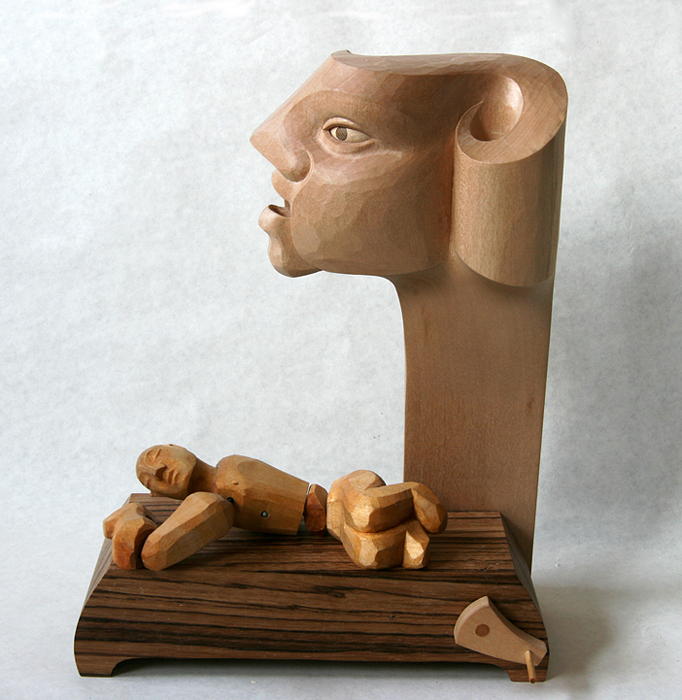 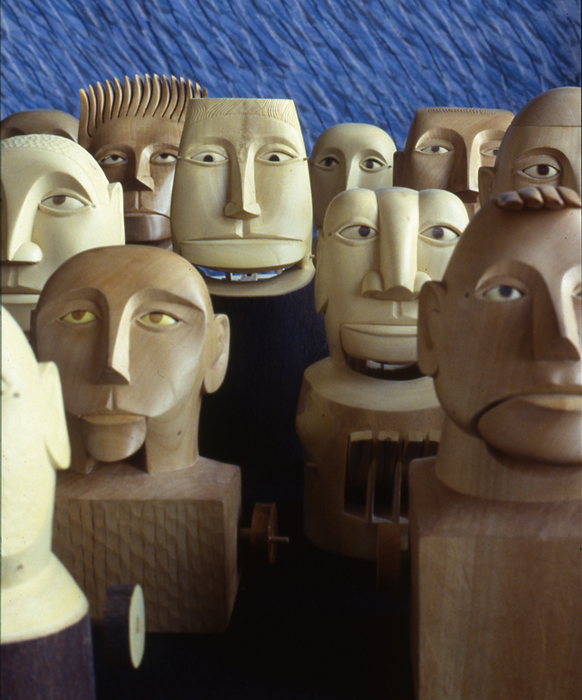 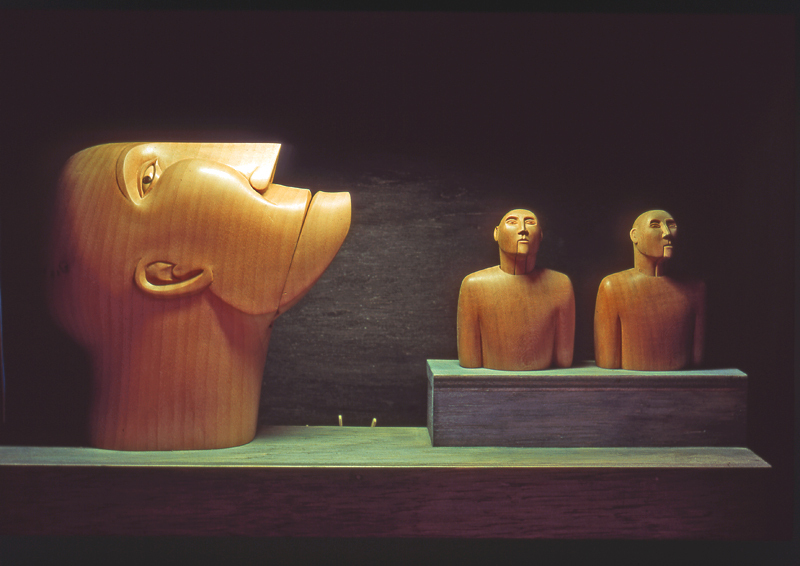 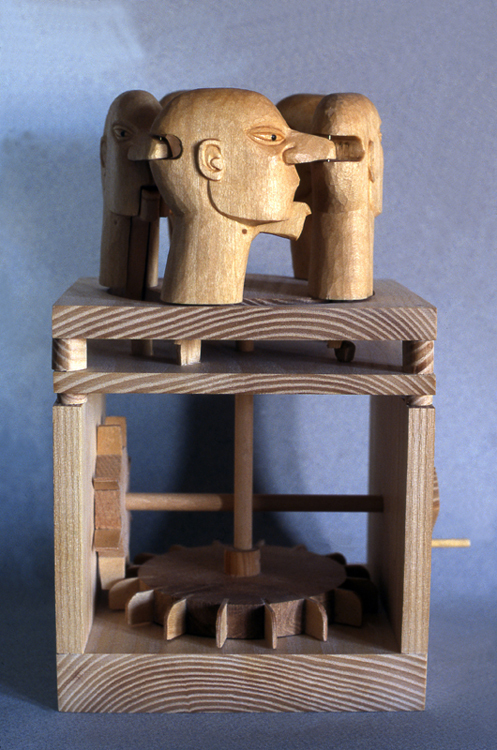 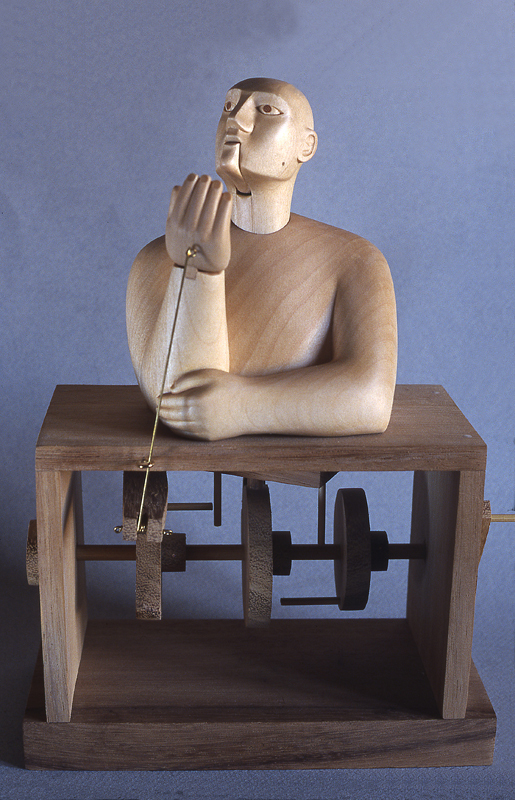 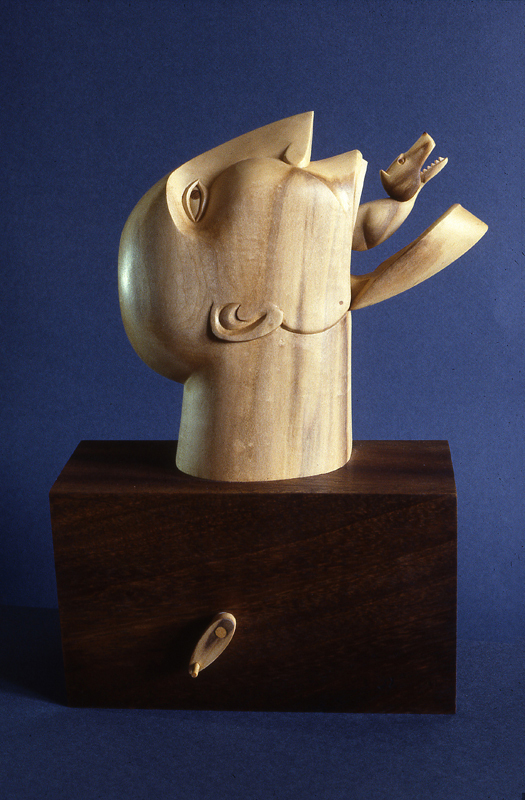 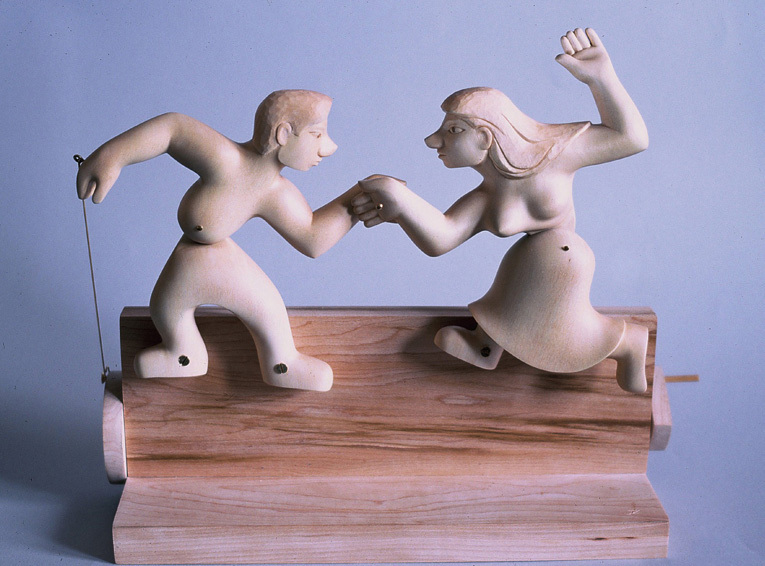 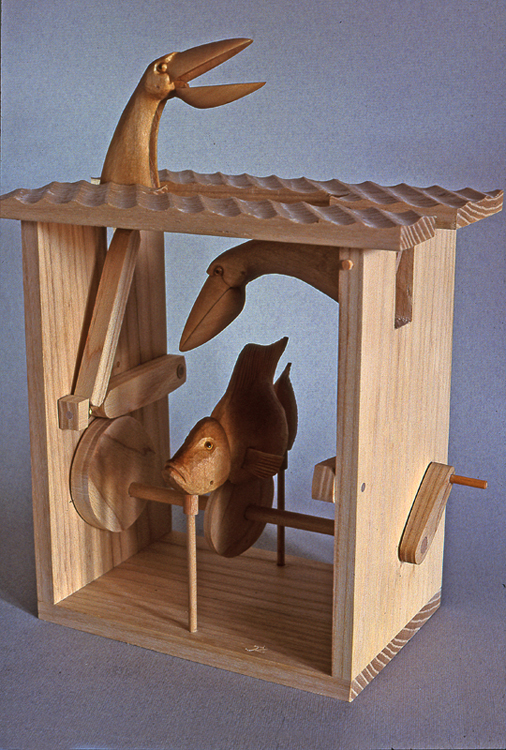 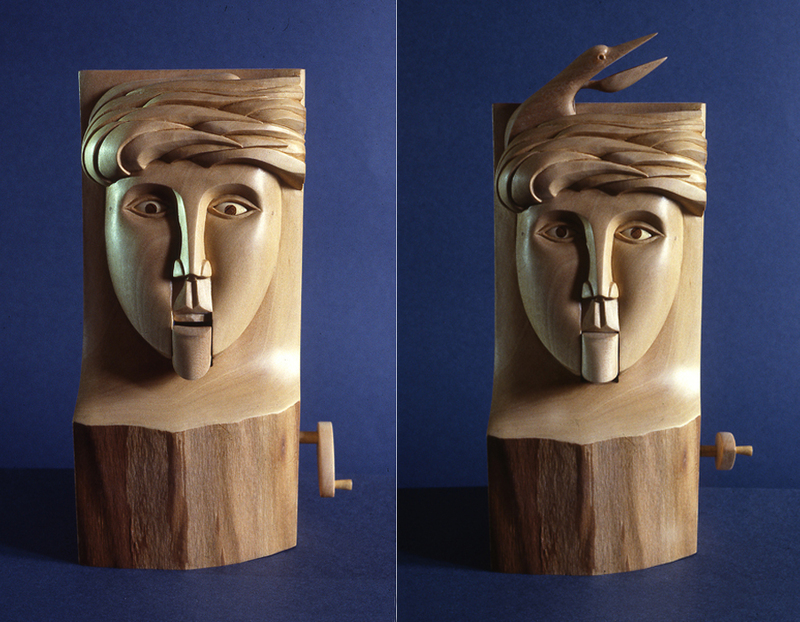 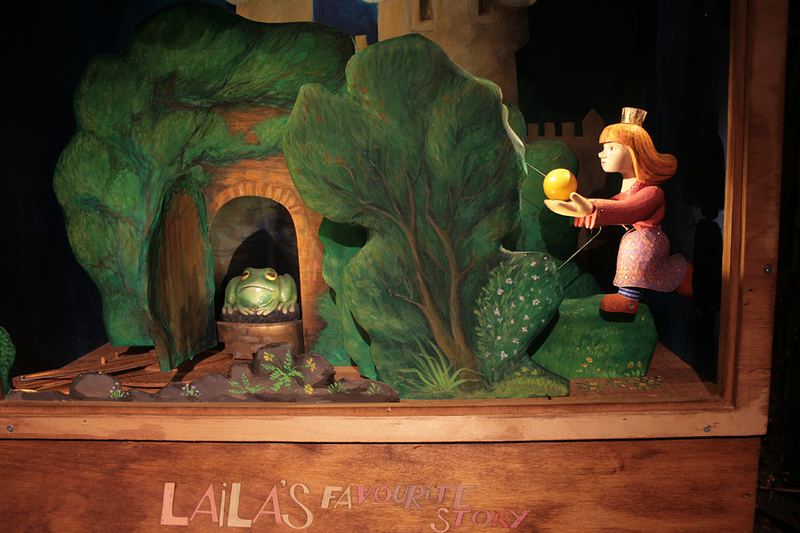 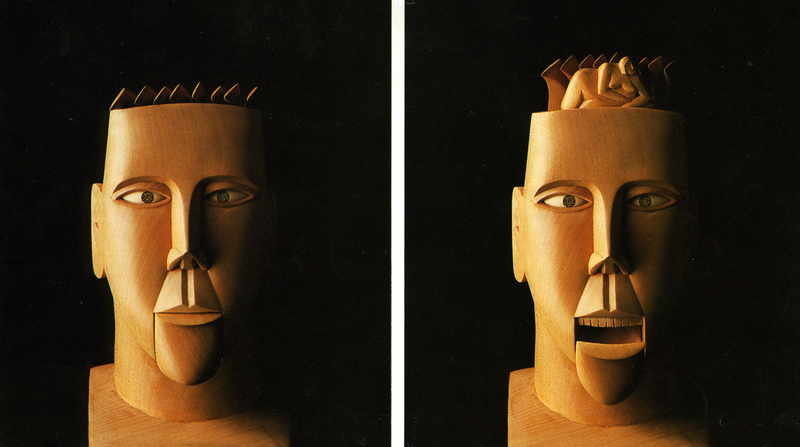 In my automata I look for a combination of the mechanical with elements of carving and sculpture on a smaller scale. 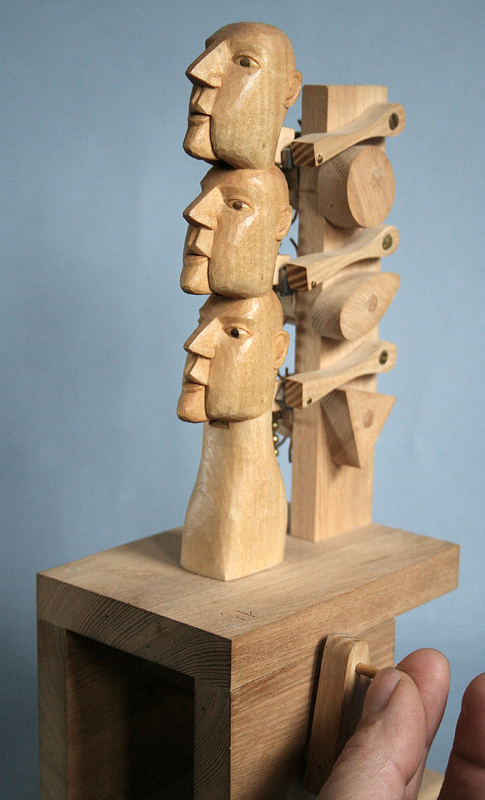 I try to keep the natural colour of the wood and the workings visible to form part of the piece. 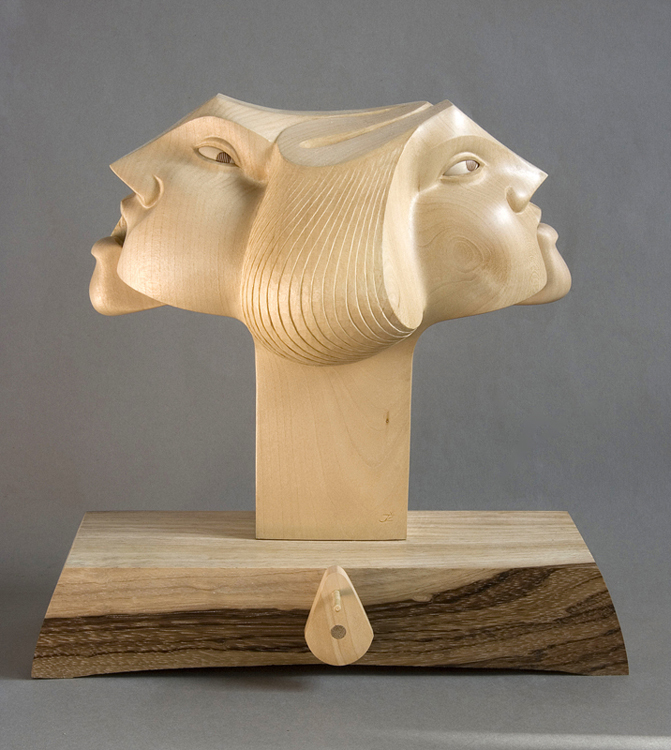 Sometimes they tell an amusing story.